The Rev. Katina Sharp called it one of the most emotional experiences of her life. 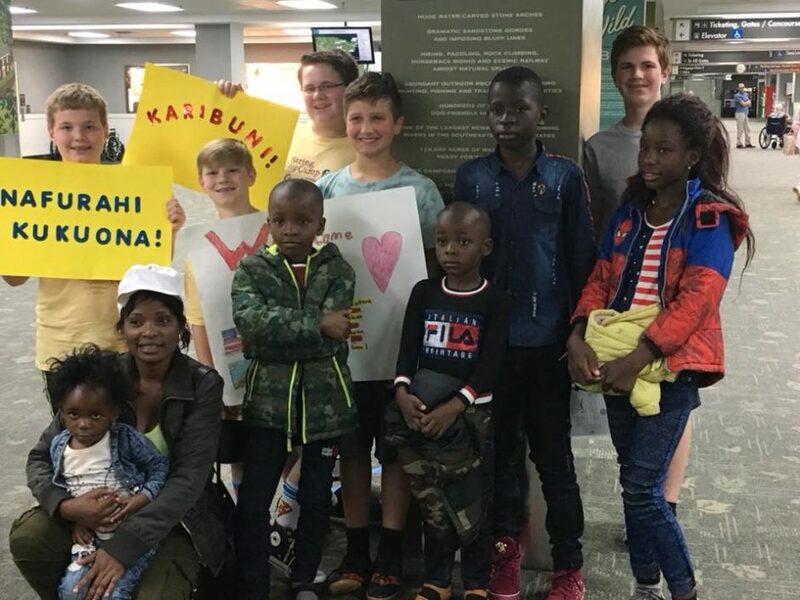 Last Friday, a family of refugees got off a plane at McGhee Tyson Airport. The mother and father had been 20 years in a refugee camp in Tanzania. All five children, two boys 8 and 6, two girls 11 and 2, and a 16-year-old orphan boy they adopted, had been born in the camp, living in a tent with a dirt floor. The family had fled the Democratic Republic of the Congo, a country in turmoil. Powell Presbyterian Church was there to welcome them, along with friends who had escaped the refugee camp 10 years ago. Sharp watched, astounded, as the family got into cars driven by strangers, going to a home they had never seen in a country where they didn’t speak the language. The church raised money and collected donations to furnish a three-bedroom apartment for the family in South Knoxville, not just with furniture but with sundries like cleaning supplies and paper products. Sharp said she was worried at first that they hadn’t outfitted the apartment well enough. “We are a small church, so to do all of this has been a stretch. But the Bridge worker reminded me that they’d been in a tent with a dirt floor all their lives,” she said. The goal for the family, and for all Bridge families, is to get them to self-sufficiency. That means school and ESL classes for the kids, job training and jobs for the adults. Right now, church members are providing transportation to doctor appointments and other necessary errands, but soon the family will start learning to ride the bus. The most pressing need right now is for clothing for the family. The church is asking for donations of gift cards so the family can go shopping. “They don’t know what their sizes are. They’ve always just worn what they could find,” Sharp said. And in the meantime, church members are socializing with the family, helping them learn language skills, and just offering welcome. One church member even taught them to say “y’all.” Direct involvement will taper off over time as the family gains its feet, but Sharp says she hopes they will remain friends.